Taxpayers who miscalculated how much they’ll owe the Internal Revenue Service this year won’t get hit with penalties -- up to a certain point. The Treasury Department said Wednesday it won’t penalize individuals who underpaid their estimated taxes for 2018, as long as they paid 85 per cent of what they owe through withholding or estimated quarterly payments. The 2017 tax overhaul changed the tax brackets, expanded the child tax credit and nearly doubled the standard deduction to US$24,000 for a married couple -- all changes that affect how much an individual will owe in taxes this year. This is the first filing season individuals are paying taxes under the new rules. Salaried workers have their taxes withheld from their paychecks. Business owners and self-employed people pay estimated taxes to the IRS quarterly. 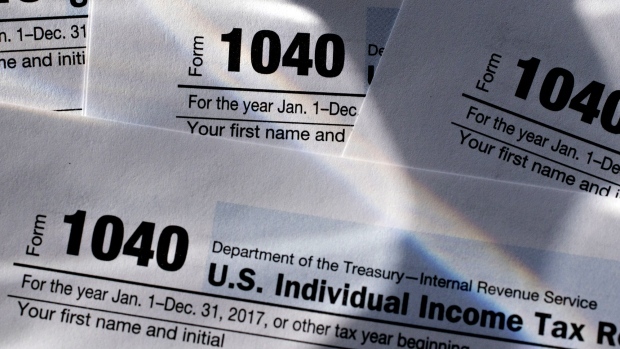 Those who still owe taxes will have to pay the IRS the additional tax they owe by April 15, the tax filing deadline, or file for a six-month extension. The announcement comes after the top Republican and Democrat on the Senate Finance Committee, Chuck Grassley and Ron Wyden, urged the agency to be lenient with penalties as taxpayers adapt to the changes stemming from the tax overhaul. Moments before Treasury’s announcement, Grassley took to the Senate floor to urge the IRS and Treasury to provide relief to taxpayers but to also include guardrails to prevent abuse.